National Snaffle Bit Association - The December Issue of The Way To Go is now Online! 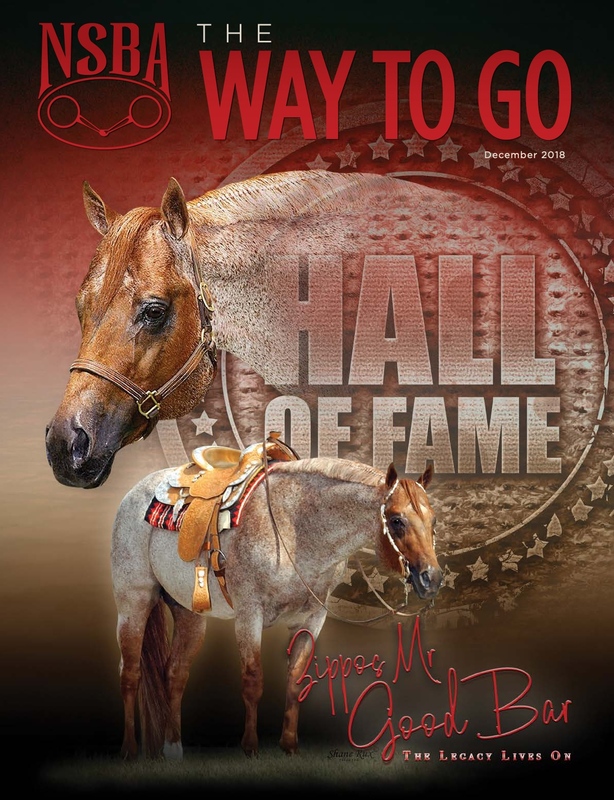 Richland Ranch will see its late stallion Zippos Mr Good Bar, who graces this month’s cover, inducted in to the AQHA Hall of Fame and looks forward to watching its new stallion, Mr Zippos Good Bar, continue the farm’s line of breeding excellence into the next generation. We learn more about both stallions in this month’s Cover Story. The Way To Go looks at the NSBA World Championship Show and several other events to see what it takes to put on a show. Learn the 75,000 reasons that you should participate in the 2019 Riders Cup, taking place March 5-6 at the Arizona Sun Country Circuit. Stephanie Lynn provides tips on improving your motivation and concentration with a clean, organized new year. The Way To Go also looks back at the 2018 Quarter Horse Congress and the Appaloosa World Championship Show – all in the December issue.